It is summer time. Places are actually very hot. 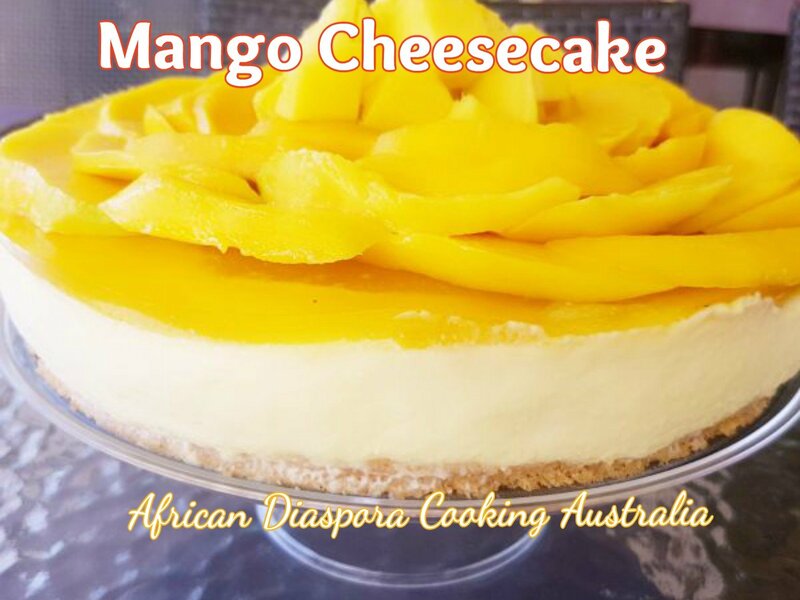 A delicious cold cheesecake will make a wonderful treat or desert. This delicious goodness is one of a kind, its fluffiness and silkiness makes it so special. I graced the top with some zeelicious ripe mangoes. Yeah ! 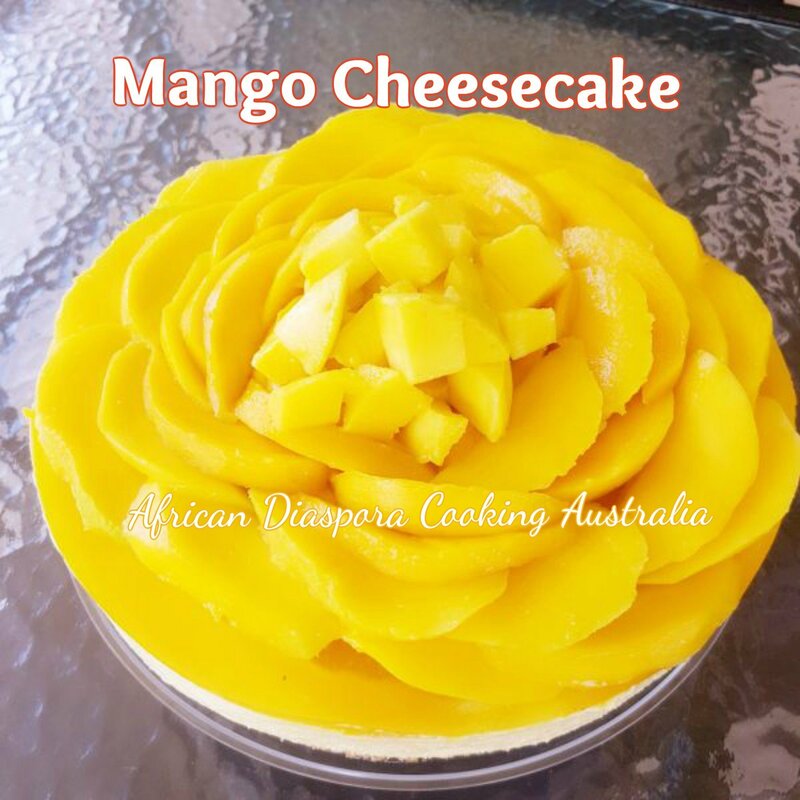 Its mango season in Australia, we are having very frsh mangoes in the shops. 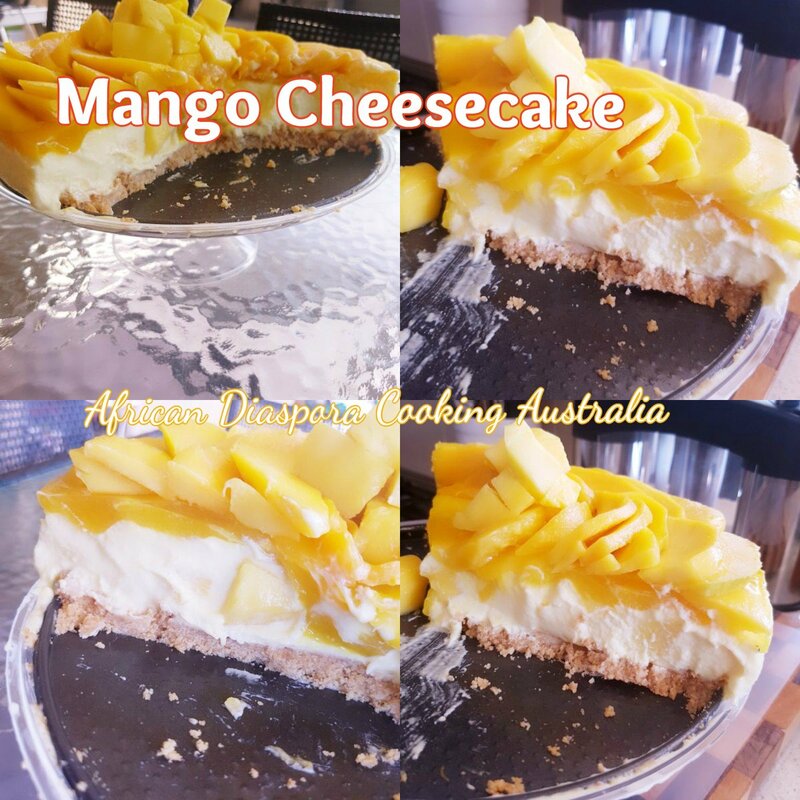 I artistically used the sliced mangoes to create a rosy topping of my mango cheesecake. My girls love mangoes to bits. 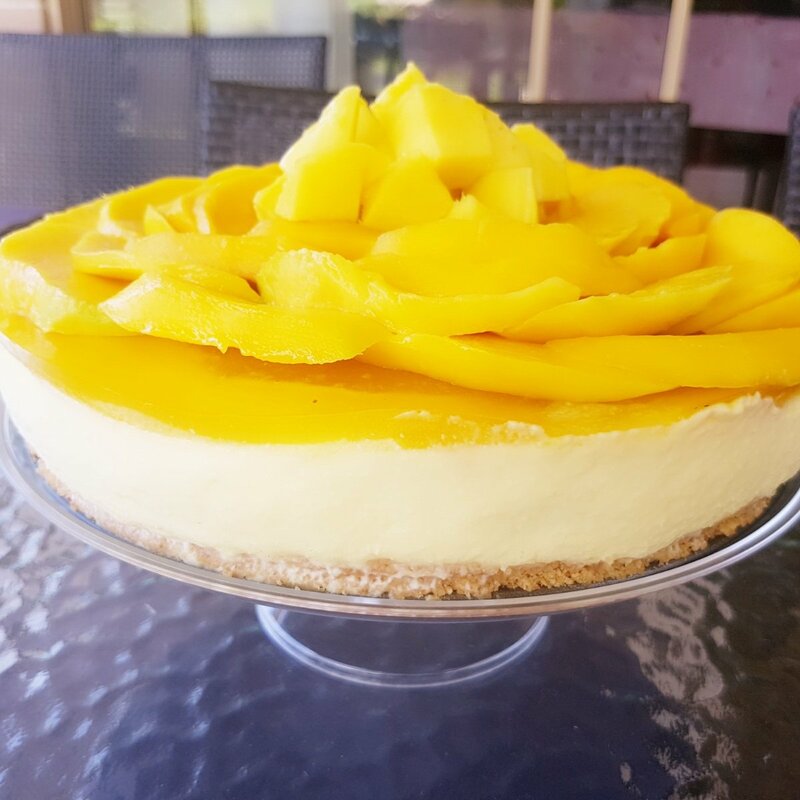 This mango cheesecake served as a desert for us. I can’t wait to make a cherry cheese cake. It’s cherry season here. Peel and slice all mangoes and blend one of them and keep the pulp for the topping, and the sliced ones foe the decorative tipping. Crush and mix digestive biscuits with melted butter to make the base. Place into cake tin and refrigirate to settle while making the mixture. Springkle gellatin into 1/4 cup of water and keep to dissolve in hot water. With the use of a hand mixer, mix philadelphia cheese until smooth and fluffy. Mix whipped cream for 2-3 mins and combined with phil cheese mixture. Add melted white chocolate and stir. Melt your white chocolate chips in warm water. Or in microwave. You can use condensed milk instead of white chocolate. Pour into your mixture gellatin and mango pulp and stir again. Pour in a spring form cake pan. 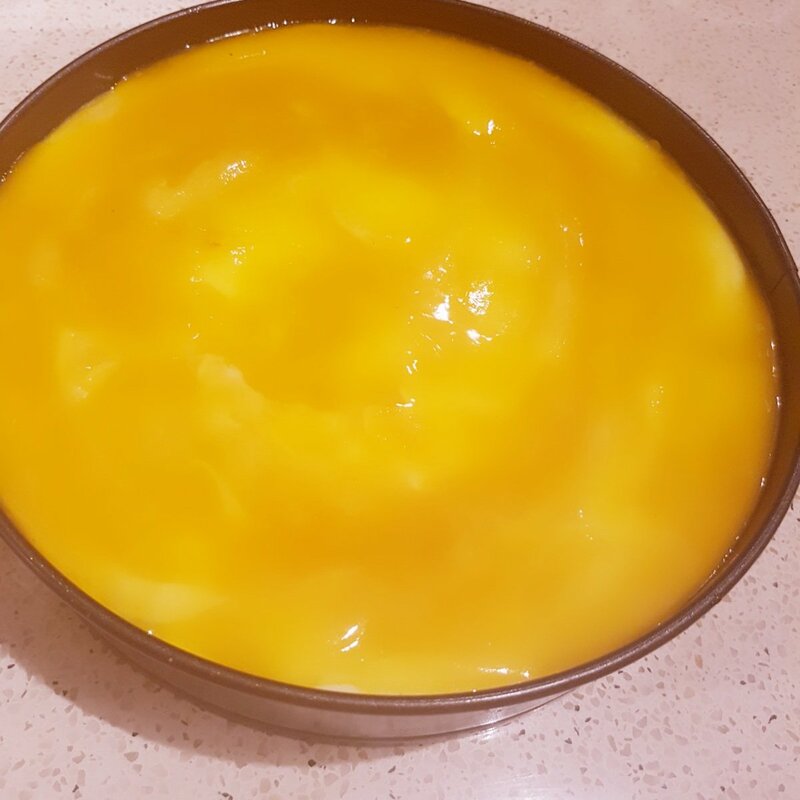 Spread some mango pulp mixed with gelatin at the top and keep in the fridge for 24 hours to set. I usually keep mine overnight to set . 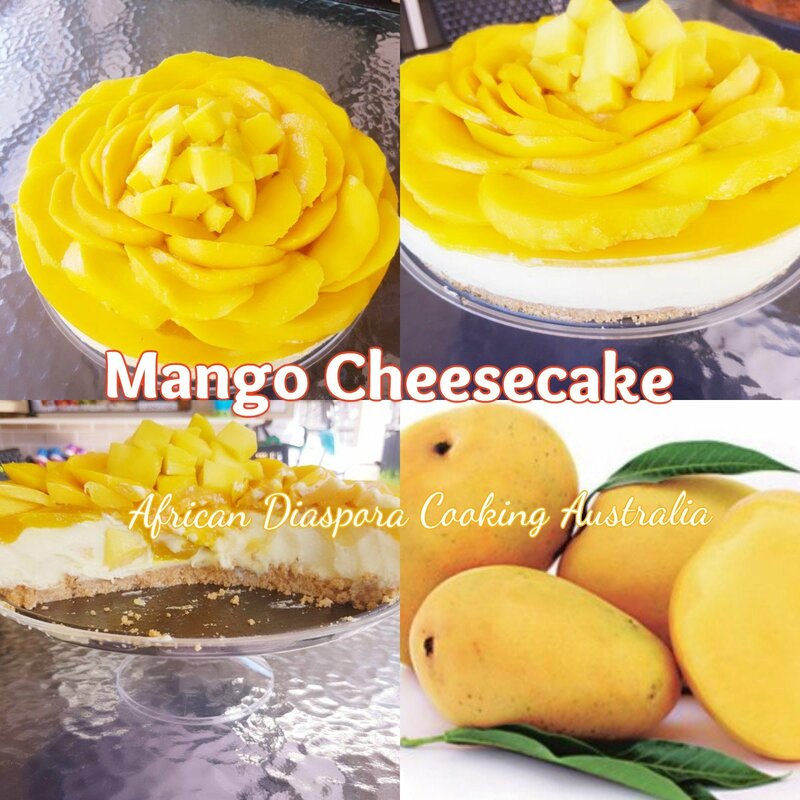 Remove from fridge the following day and decorate the top with fresh mangoes. I usually peel the rest of my mangies the next day. Please try this recipe and tell me how yours turned out .